Whether it is carpet cleaning in Perth or upholstery cleaning in Floreat, even cleaning your bathroom, or doing your dishes, the scientific principles of cleaning remain the same. In order to achieve a satisfactory cleaning result we must fill the four fundamental elements of the cleaning pie. The cleaning pie represents the best possible cleaning outcome and all carpet and upholstery cleaners in Perth should strive to achieve this scenario. The cleaning pie is also known as the CHAT pie, which stands for Chemical, Heat, Agitation and Time. If you can use all of the components of the CHAT pie evenly, you will achieve a great cleaning result every time, take something away from the cleaning pie such as heat the cleaning results will suffer. An example of this is, you would not wash your greasy dishes with just cold water alone, if you added detergent you will greatly improve the cleaning result and then by adding heat, heated water increases the molecular expansion of cleaning solutions making them more effective, a rise in temperature of just 8 degrees Celsius will increase the chemical ability by 100 percent and take the grease cutting ability to another level, throw in a bit of agitation and your well on your way to clean dishes for those really dirty ones some dwell time (soaking) makes a huge difference. As you can see the CHAT pie plays a very important role in all types of cleaning. When it comes to carpet and upholstery cleaning using the CHAT pie principle works like this in practice, after pre-vacuuming to remove dry soils and particulates which is also a form of agitation in itself we then assess the PH sensitivity and characteristics of the fibre type we are about to clean, we select the correct chemical to use for the particular fibre type, we then apply the chemical hot to improve the grime fighting capabilities, we then give the chemical some dwell time so that it can perform its job then apply some agitation either mechanical or by hand to help it along this will move the fibres and help distribute the carpet cleaning solution for better penetration, after that we rinse using a special rinse solution extract and promote drying, and there you have it, clean carpet and upholstery using the CHAT, cleaning pie principle. The definition of PH a symbol denoting the negative logarithm of the concentration of the hydrogen ion, whether alkaline or acid. The PH scale ranges from 0-14 with pure water being considered as neutral measuring a PH of seven, while drain cleaner is an acid PH of one and floor stripper alkaline at a PH of fourteen. It is very important to understand the difference in the strength of carpet and upholstery cleaning solutions with the PH being very important in the selection of the correct chemical for the fibre type you are cleaning. An example of this is the cleaning of a wool carpet, wool is naturally acidic and is sensitive to PH above 8.5, high PH cleaning solutions can cause chemical burning to the wool fibre causing Permanent damage such as yellowing and even fibre loss. Even a synthetic fibre carpet such as a stain resistant nylon can be affected by high PH chemicals, with a PH above ten affecting the stain resistant capabilities of the nylon. The safest way to clean a wool carpet is to choose a neutral PH cleaning solution or a Woolsafe Organization approved carpet cleaning chemical, also rinsing the carpet with an acid rinse to bring the PH down to slightly acidic that’s the way wool naturally, this will also leave the carpet with a nice soft with no soil attracting residues left behind. When choosing a carpet and upholstery cleaning company it is important to choose a company trained in the science of carpet and upholstery cleaning, not just someone that can operate a machine, they need to be able to understand chemistry and PH and be able to identify particular fibre types and be competent in employing the correct carpet cleaning procedures. 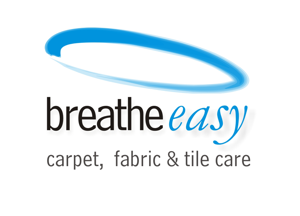 Breathe easy carpet cleaning; operating in Perth Western Australia are one such company a proud member of the carpet cleaning association of WA and the Australian carpet cleaning institute.